This unique unfiltered blend of estate grown Arbequina and Koroneiki olives is cold-extracted within hours of harvest, which produces a fresh, aromatic, fruity flavor that is perfect for dipping but mild enough to use as a culinary staple in your kitchen. This oil is certified for exceptional quality by the California Olive Oil Council and is a recent Gold Award winner at the International New York Olive Oil Competition. Beginning with roots in the Piedmont region of Italy, the Coldani family has been farming in the San Joaquin Valley of Northern California for over 70 years, an area that enjoys the same Mediterranean climate as the olive growing regions of Italy, yet is blessed with the fertile soils and abundant water supply of the Lodi-Delta region. Coldani Olive Ranch utilizes oil derived exclusively from its own olive groves, one of the only producers in the Lodi region to do so. 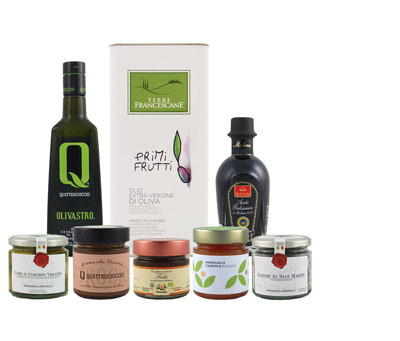 For this reason they are able to guarantee every bottle contains only the highest quality olive oil available and are Seal-Certified by the California Olive Oil Council (COOC). The family's Italian traditions that have passed down from each generation culminate in their continued commitment and care to produce the freshest and finest quality extra virgin olive oil available on the market today.